We typically have more instruments (and many more bows) than we specifically list, especially in the more basic category. You are welcome to call us for more information. We also carry accessories. 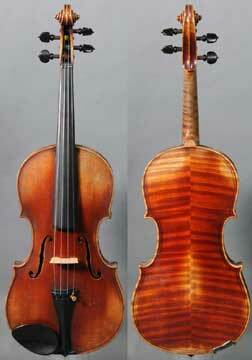 All violins are set up in our shop. We’ll be adding a description of what’s involved in a good set-up. We offer Repair Services for customer instruments. For those of you who are researching that Stradivarius in your possession, please read our comments on Strad label violins.